IIB Blogs – Nice dinner at Washington D.C. 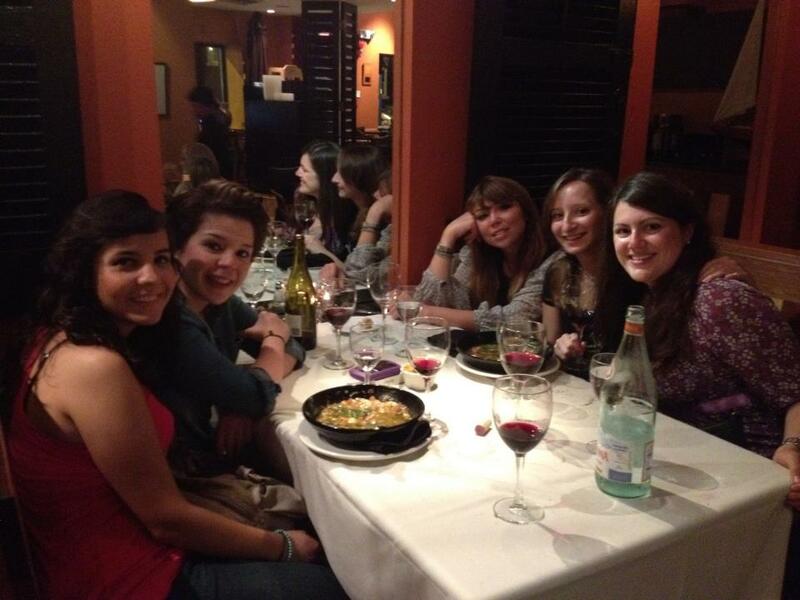 So here we are at Paolo’s, a real nice italian restaurant in Washington D.C., of course we were very well accompanied by our other friends from school but we couldn’t sit with them so we took another table, in the picture it’s me, Karen, Giuditta, Giulia and Sara. Actually the trip was very fun and later that night we went to a bar to continue having a good time; I really loved Washington DC and I would love to come back, there are so many things to do that 3 days were not enough! We are planning on going to our next trip to Boston and Woodstock, actually we are more excited about Woodstock because of all that hippie thing, I expect it to be very fun! Well I’ll continue telling you about out adventures as soon as they happen 🙂 see ya!